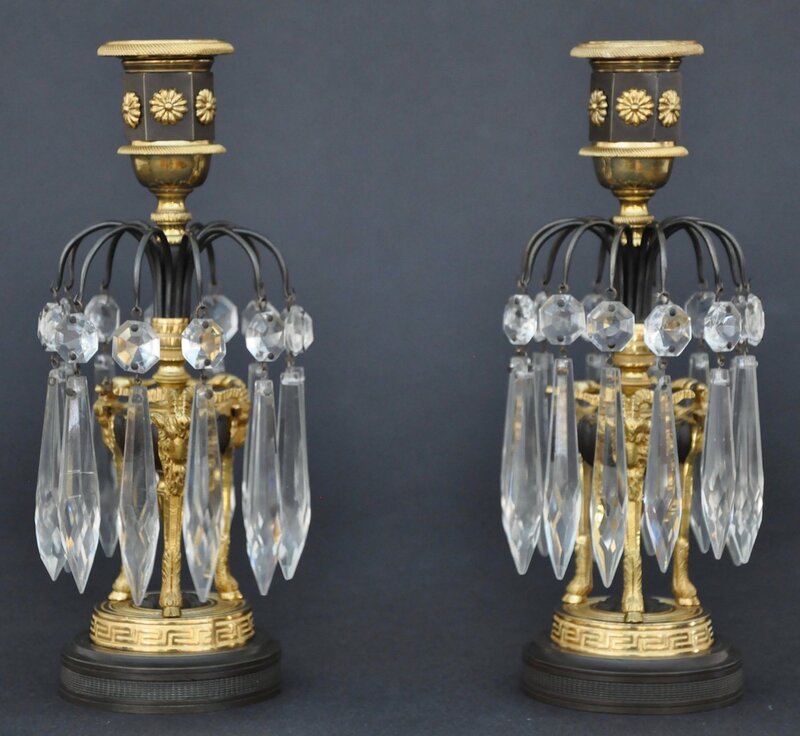 This delicate pair of Regency candlesticks are beautifully presented in patinated and gilt-lacquered finishes. Much of the surface is embellished with engine turned decoration. The faceted candle cups are adorned with rosettes and supported by elements composed of rams’ heads and feet.